I’m short on time as I crunch for next weekend’s show, but I wanted to share my most recent kiln haul! 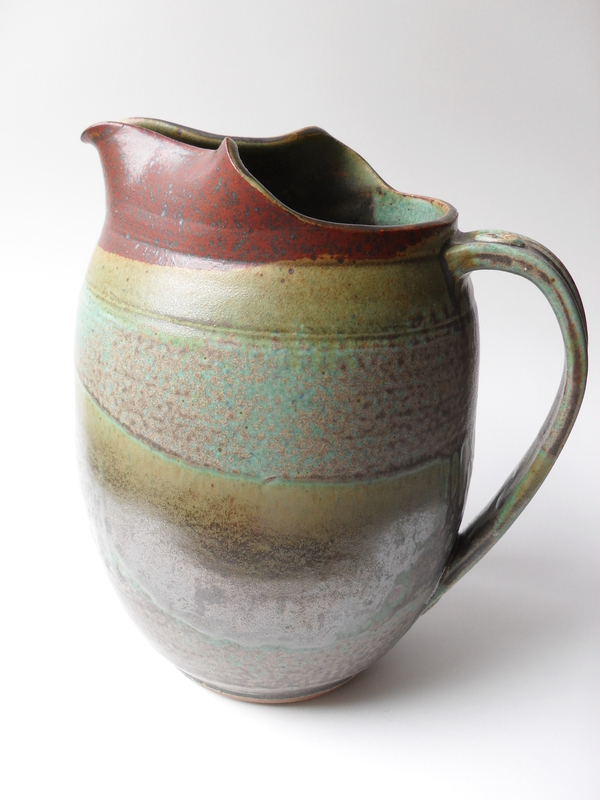 There were several pleasant surprises–a pitcher I tried a new glaze combination on, my first experimental serving boat, and a batter bowl. This batch also included a lot of my new embossed porcelain soap dishes (which my friends at Harvest Home Farm are selling, along with their homemade soap, in Lincoln, Nebraska at the Saturday farmers’ market!). Again, I won’t be posting these to my Etsy shop until after the 26th of June, but if you’d like me to make an exception for a certain piece just leave a comment or shoot me a message at rachelmillermakespottery [at] gmail [dot] com. This entry was posted in Glazing and Firing, Pottery, Wheel-Throwing, Works in Progress and tagged art, artist, batter bowl, beginning pottery, bowl, ceramic bead necklace, ceramic beads, ceramics, clay, doing what you love, gas fired ceramics, gas kiln, glazes, handbuilt ceramics, handles, handmade, hemp necklace, honey pots, leaf dish, mugs, olive dish, pitcher, porcelain, pottery, reduction fired, reduction fired ceramics, repurposing vintage doilies, ring dish, self-employment, serving boat, serving dish, soap bowl, soap dish, soup mug, stoneware, texturing clay. Bookmark the permalink.